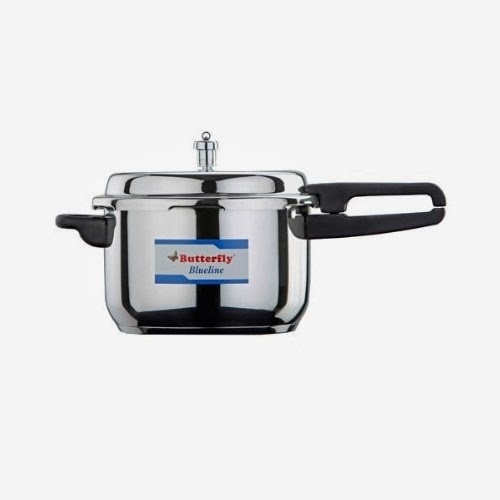 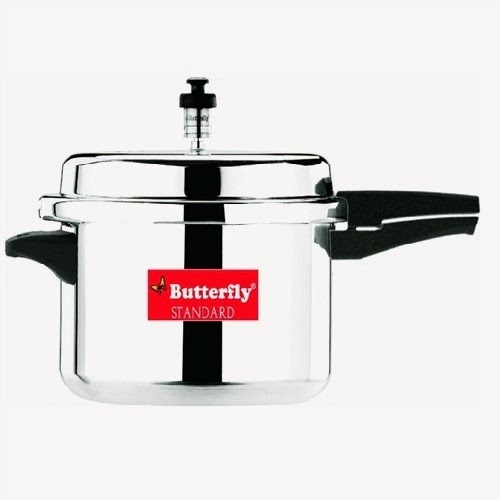 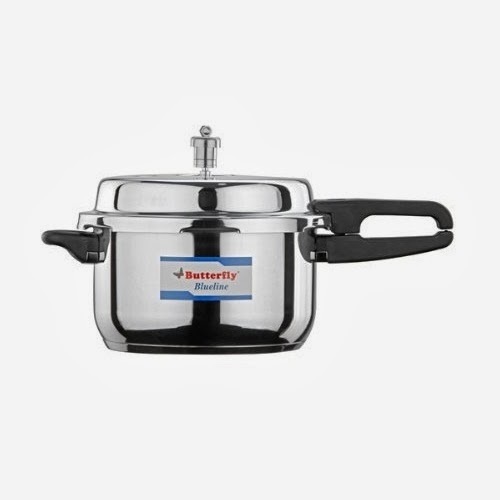 This Butterfly Stainless Steel Pressure Cookers are available in 2 liter, 2.5 Liter, 3 Liter, 3.5 Liter, 4.5 Liter, 5 Liter, 7.5 Liter and 10 Liter capacity. 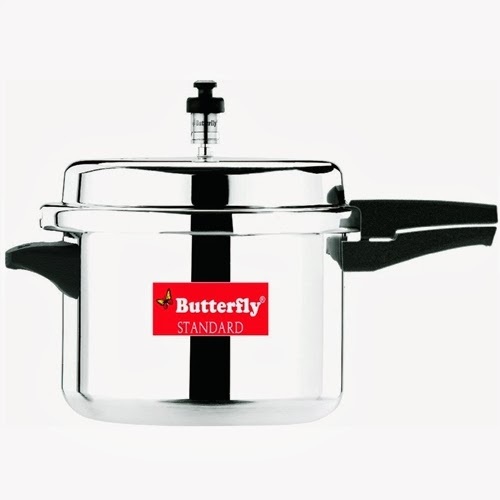 Its body & lid made of premium quality stainless steel. 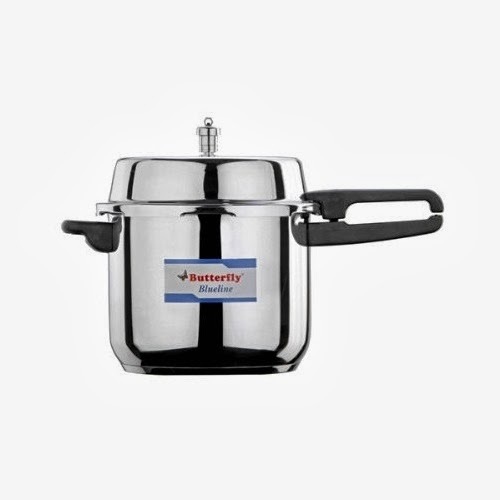 Its ergonomically designed handles makes easy to grip it. 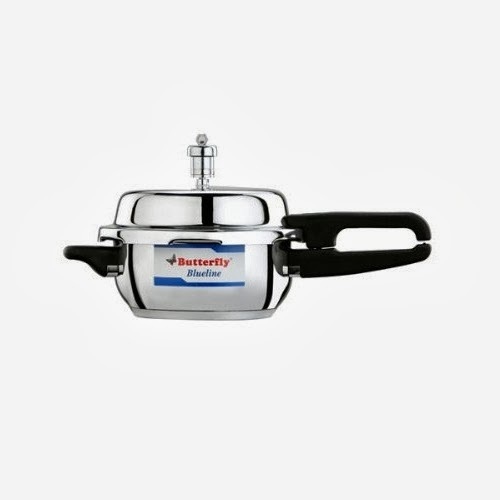 It has other features such as Aluminum Thermal Base, include safety valve, Gasket Release Vent (GRV), etc. 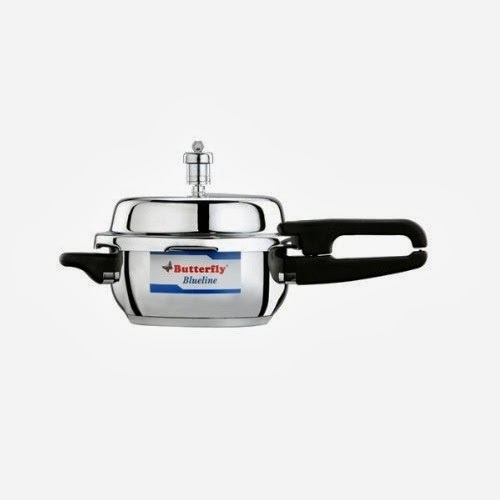 Butterfly Standard Plus Aluminum Pressure Pan Cookers are available in 5.5 Liter, 7.5 Liter, 10 Liter and 12 Liter capacity. 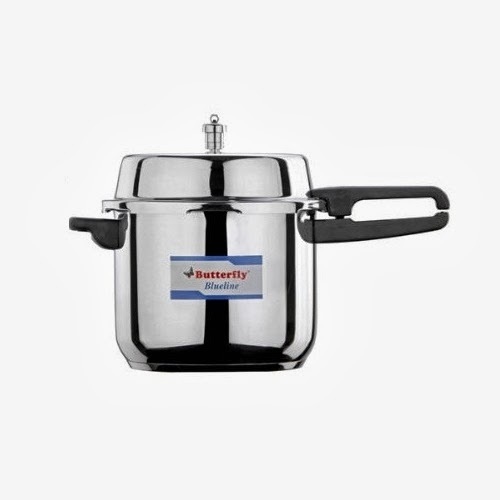 Its sturdily built with thick walls and it is an international styling pressure cooker. 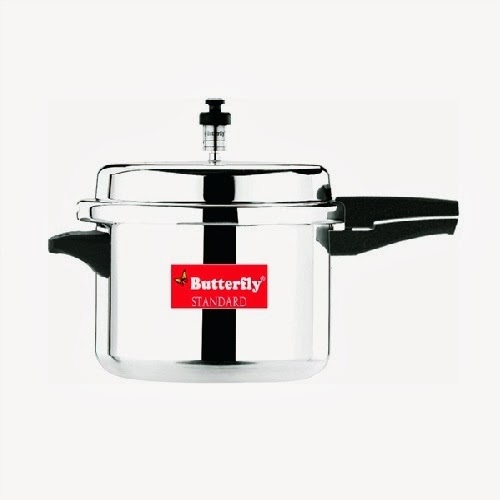 Its suitable for Induction hob and LPG stove. 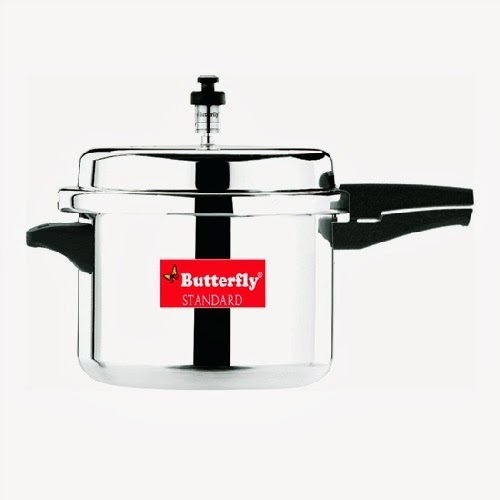 Its Handles designed for firmer grip.